You can’t have your cake and eat it (too) is a popular English idiomatic proverb or figure of speech. The proverb literally means “you cannot simultaneously retain your cake and eat it”. Once the cake is eaten, it is gone. The problem for revisionist historians is that some popular storylines become difficult to maintain. When the 700 Phantom Years between the 230s AD and 930s AD are removed from the historical narrative [because they have no strata, houses, latrines etc…] then the storylines of Justinian and the Plague of Justinian are [by default] consigned to oblivion. 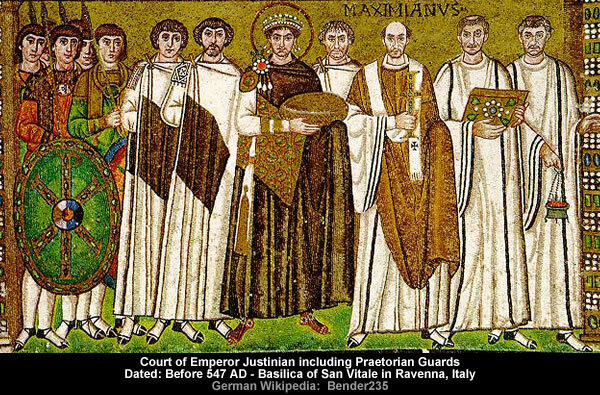 Justinian I, traditionally known as Justinian the Great and also Saint Justinian the Great in the Eastern Orthodox Church, was the Eastern Roman emperor from 527 to 565. The Plague of Justinian (541–542 AD) was a pandemic that afflicted the Eastern Roman (Byzantine) Empire, especially its capital Constantinople, the Sasanian Empire, and port cities around the entire Mediterranean Sea. 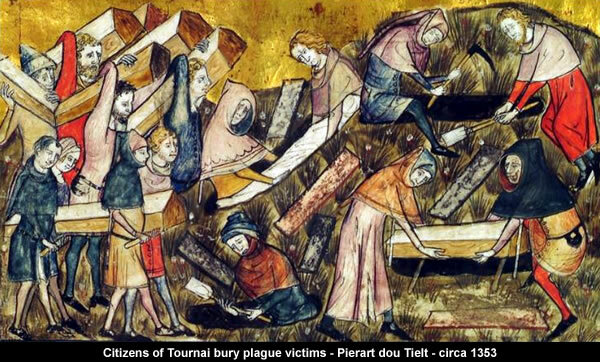 One of the deadliest plagues in history, the devastating pandemic resulted in the deaths of an estimated 25–50 million people in two centuries of recurrence, equivalent to 13–26% of the world’s population at the time of the first outbreak. This implies Justinian and the Plague of Justinian narratives are creative fiction that were probably manufactured during the Renaissance. 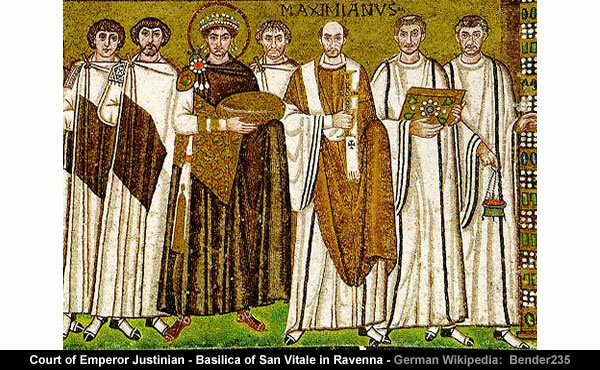 Justinian’s Corpus Juris Civilis was distributed in the West but was lost sight of; it was scarcely needed in the comparatively primitive conditions that followed the loss of the Exarchate of Ravenna by the Byzantine empire in the 8th century. Historians disagree on the precise way the Corpus was recovered in Northern Italy about 1070: legal studies were undertaken on behalf of papal authority central to the Gregorian Reform of Pope Gregory VII, which may have led to its accidental rediscovery. A two-volume edition of the Digest was published in Paris in 1549 and 1550, translated by Antonio Agustín, Bishop of Tarragona, who was well known for other legal works. The Corpus Juris Civilis was translated into French, German, Italian, and Spanish in the 19th century. However, no English translation of the entire Corpus Juris Civilis existed until 1932 when Samuel Parsons Scott published his version The Civil Law. However, there are ways to save Justinian from oblivion. Believing in the supernatural enables the 700 Phantom Years of history to be populated with gods and ghosts. This is not an uncommon belief system. I was taught at school there was a man in the sky who “made all things bright and beautiful” and that I should thank “Him” for providing “daily bread”. In the case of Justinian this is highly appropriate because the “very first law” established by his “Body of Civil Law” required “all persons” to “hold the Christian faith”. The Corpus Juris (or Iuris) Civilis (“Body of Civil Law”) is the modern name for a collection of fundamental works in jurisprudence, issued from 529 to 534 by order of Justinian I, Eastern Roman Emperor. The very first law in the Codex requires all persons under the jurisdiction of the Empire to hold the Christian faith. Another effective strategy is to paper over the cracks in the storyline. In this instance arm waving, rhetorical devices and narrative diversions could be deployed to sow sufficient confusion that the problem is effectively smoothed over. This solution leaves Justinian and his Plague intact but they are surrounded by the events and characters of the 2nd century BC in the revised history. Tim Cullen is testing the Roman Republic. I would like to point out, however, that titles like AUGUSTUS will also have to be moved back in time and will suddenly precede Octavian-Augustus. Justianian, as a warrior against Goths, would also have to return to the time of the Republic. But his Corpus Iuris contains laws and commentaries of the imperial period from the 1st century CE up to the lawyers of Alexander Severus. How could that go back to the 1st century BC? The point being that Gunnar Heinsohn’s own historical revisions would leave an intact Justinian narrative stranded in the context of the 2nd century BC. A third solution is to explicitly claim his narrative was borrowed from the past. This requires re-dating Justinian et al to somewhere between [say] 1 AD and 230 AD so that he can participate in “debates on Christian doctrine”. In this scenario re-dating Justinian to [say] 150 AD would place him in the context of 850 CE in the revised historical narrative i.e. 150 AD + 700 Phantom Years = 850 CE. Justinian, who had always had a keen interest in theological matters and actively participated in debates on Christian doctrine, became even more devoted to religion during the later years of his life. As Gunnar Heinsohn correctly implies the narrative of Justinian’s Corpus Iuris falls apart if Justinian is re-dated to before 1 AD. 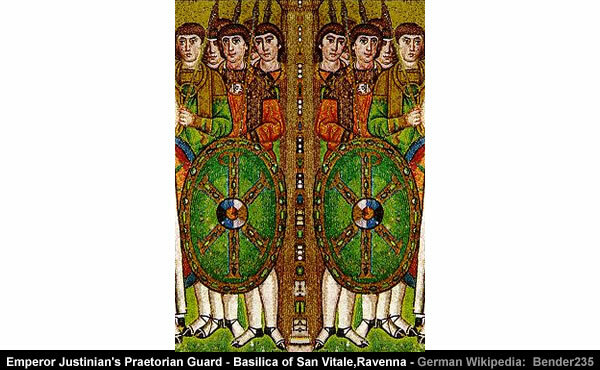 However, strangely enough, there is at least one artefact that suggests Justinian’s Praetorian Guard was borrowed from the centuries before 1 AD. Alternatively, it can be claimed that Justinian was explicitly borrowed from the future. 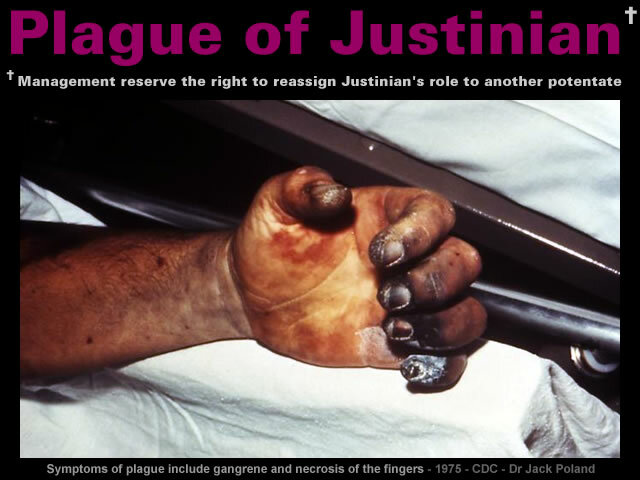 This solution could argue Justinian and [particularly] his Plague narrative really belong to the confused historical era of the Black Death. This appears to be an unpopular solution with no immediately obvious proponents. A tried and tested solution for many problems is to divide and conquer. In this particular instance Settled Science can be invoked to support the Plague of Justinian narrative in the hope the audience unquestioningly accepts the simultaneous reality of Justinian simply because his name is associated with a particular plague pandemic. This is a very effective strategy – especially in the unquestioning realms of academia. No doubt, given our creative imaginations, there are other possible solutions. But, as always, readers are encouraged to review the evidence and form their own opinions. Gallery | This entry was posted in Arabian Horizon, Heinsohn Horizon, History, Roman Chronology. Bookmark the permalink. doesn’t mr. Heinsohn put Justinian in 10/11 century?